A lot of creative experiments take place every day around the world. IN this gallery we want to present you several board games, computer games or brain teasers made life-sized. These games were created for entertainment, as well as to assist people achieve e better orientation in space. Enjoy the gallery! 1. 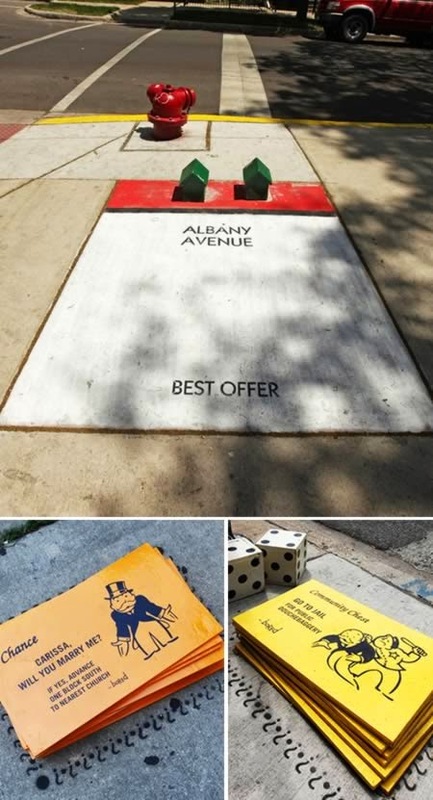 A group of anonymous artists known as ‘Bored‘ has created a life-size version of Monopoly using the streets of Chicago as their giant game board. 2. In honor of the board game's 60th anniversary in 2009, the crookedest street in the U.S., Lombard Street, San Francisco, was transformed into the sweetest board game around - Candyland. 3. 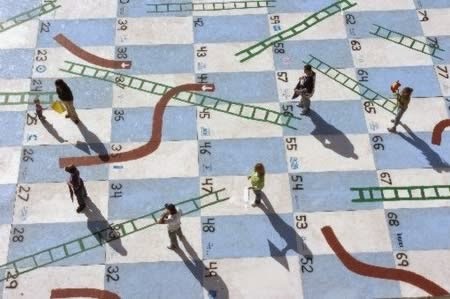 On the 3rd annual Michigan Fallapalooza in 2007 - a day of games, music and sidewalk sales, the life-sized game of Hasbro's popular Chutes and Ladders was perhaps the most attractive event. 4. 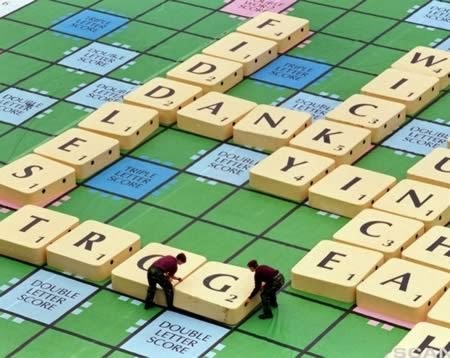 The world's biggest game of Scrabble was played out on the pitch at Wembley stadium. 5. 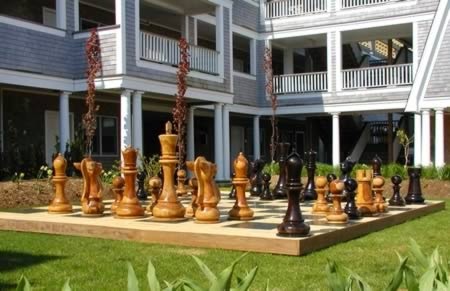 The world's biggest Chess set by Guinness has a the King that is coming in at 48 inches high. 6. Human-sized Angry Birds was made in the Mount Faber in Singapore and it is super fun!